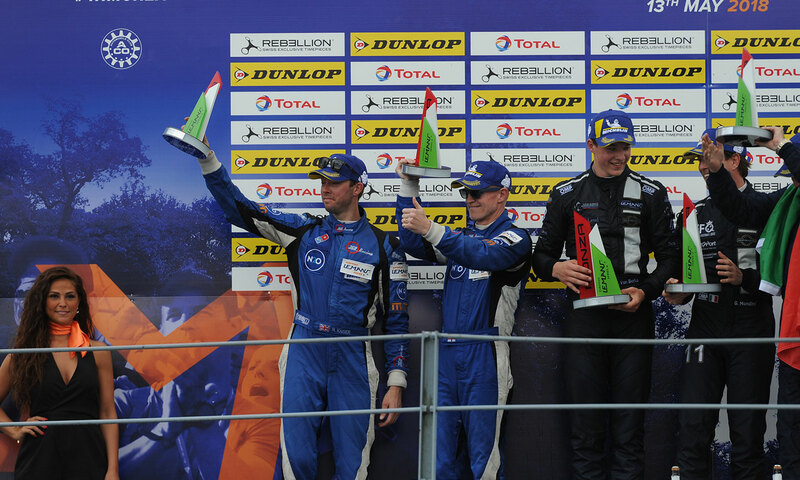 Terrence Woodward and Ross Kaiser secured an against the odds second place in the European Le Mans race at Monza, the best the Silverstone based 360 Racing team have achieved since joining the series in 2016. Having been reduced to a two driver line-up due to problems in earlier practice, restricting James Swift’s laps to below the minimum to start, Terrence Woodward and Ross Kaiser were forced to share the four hour stint between them. Kaiser was in the car as usual for the qualifying session as usual, securing 10th place for their Ligier JSP3 in the LMP3 class. “We struggled a bit with the car and had some problems to fix after free practice. It felt a lot better, but we didn’t have enough pace, as everyone else had turned the wick up too,” he said. It was Kaiser who started the race too, gaining a massive four places on the opening lap to hold sixth. His next target was the DKR Engineering Norma, which was duly despatched on lap eight, before he closed in on one of the United Autosports Ligier’s taking fourth 10 laps later. “Once I got clear air I could close in, we didn’t have the best straightline speed but were very good in the middle sector,” he explained. With the pitstops starting around the completion of the first hour, Kaiser had the lead, which he retained until his own stop to hand to Woodward. Woodward continued to run strongly and consistently through his first stint and was back in front before the second hour was completed, having battled with Falb/Rayhall’s United Autosports car and Eurointernational’s Mondini/Van Berlo. With the team running with just two drivers, Woodward stayed in the car for a double stint and continued to keep his eye on a possible podium, shadowing the Inter Europol car of Smiechowski/Hippe. He pitted for the final time on his 77th lap, handing to Kaiser with just over an hour on the clock. Rejoining fourth, a quick exchange with the Wells/Grist/Bell United Autosports car saw the top six all still on the lead lap. Having caught and retaken Wells, he was up to third with five minutes left, but in front Hippe was still chasing Van Berlo for the lead but suddenly peeled off into the pitlane for fuel as they started the last lap. Not only had the 360 duo achieved their podium target, they were had a remarkable second place, which puts them into second too in the overall championship standings. The next round of the Championship is at the Red Bull Ring on July 22nd, the sight of the team’s first ELMS podium finish back in 2016.